 Comprised of industry experts, Cascadia Search Group has cultivated a reputation for understanding your unique needs and adding value to those with whom we partner. At Cascadia Search Group, we have cultivated a reputation as a leading provider of full-service staffing solutions. We bring additional value to the clients with whom we partner by consulting closely with them to deliver a suite of solutions ranging from contract staffing to permanent placement. We are dedicated to helping candidates pursue their personal goals by guiding them toward their professional goals by leveraging our experience and expertise in efforts to help them determine their next career move. Cascadia Search Group is comprised of industry experts who understand the qualities that define successful candidates. By being continually entrenched in the relevant markets, our consultants are optimally positioned to locate, screen and recommend the most talented and relevant professionals. This unrelenting dedication to providing the highest level of service has allowed us to build and maintain long-term professional relationship with the great majority of our clients and candidates. At Cascadia Search Group, it is our mission to promote, strengthen, and the protect the value and profitability of our clients by being the preferred and preeminent provider of total staffing services. We believe that providing a professional, ethical and exceptional quality of service, we position all those with whom we partner for the best possibility of success.